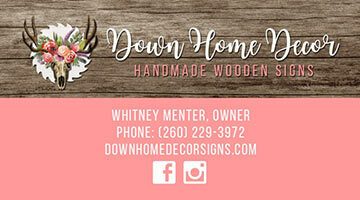 Downtown Home Decor is a sign boutique and DIY workshop. Where you can come in and shop our inventory or host a pallet party in our store or at your location of choice. We offer all materials necessary to help you build and create the perfect pallet sign for your home. Perfect for team building, birthday parties, wedding parties and more!